Frozen Fruit Co. Coming Soon To Montana Ave. It looks like Montana Ave. in Santa Monica is about to get not just one, but two icy treat shops soon. Recently, I told you about the impending arrival of Santa Barbara’s Rori’s Artisanal Creamery. A little over a block away, signs have gone up in the window of 908 Montana that used to house a scent store (yes, it did exist) announcing that Frozen Fruit Co. will soon be inhabiting the space. According to the window display, FFC specializes in “frozen fruit swirls”. I can’t seem to locate a great deal of information, and their website is still being built, but you can follow their progress on Twitter here. 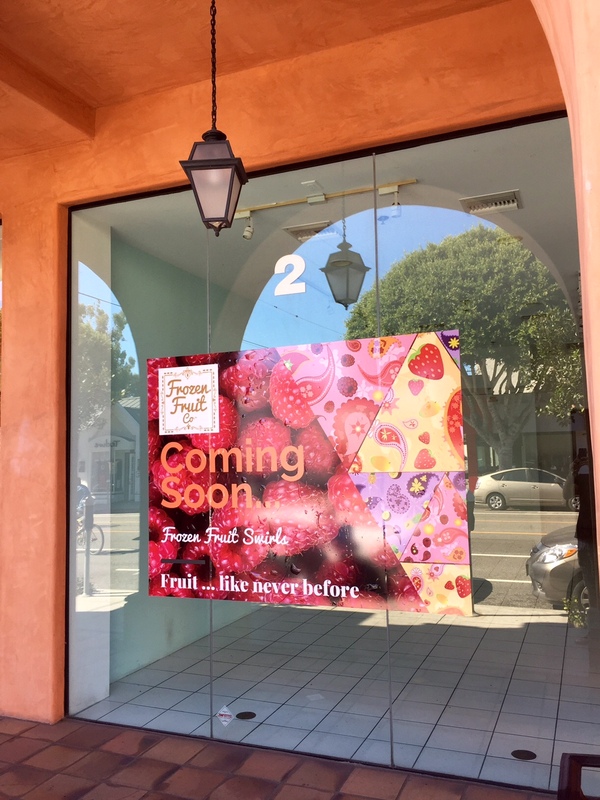 This entry was posted in News and tagged Frozen Fruit Co., Montana Ave., Rori's Artisanal Creamery, Santa Monica by toddrickallen. Bookmark the permalink.